Missing from the landscape of Mexico and the American Southwest for over thirty years, the Mexican gray wolf is once again roaming the wilderness in portions of Arizona and New Mexico. This species of wolf, often referred to as the lobo, came within one female of extinction in the 1970’s. Thanks to the dedicated hard work of individuals and organizations, this species is now on its way to recovery. However, fewer than 100 are in the wild today. 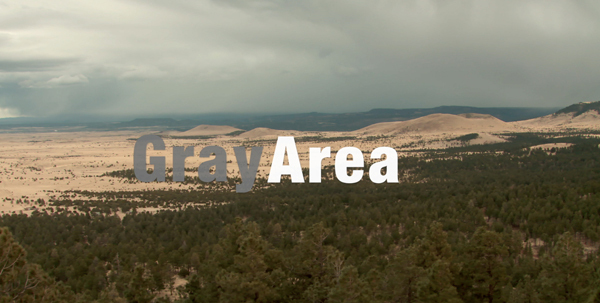 Gray Area: Wolves of the Southwest, is a film on this unique sub-species of wolf, and is intended to create more interest and awareness for this critically endangered species. Mexican wolves once inhabited the Southwestern United States and throughout most of Mexico. After many years of extermination campaigns, wolves across America were effectively reduced to near extinction levels within the United States and Mexico. In 1973, the Endangered Species Act was enacted. The Mexican was listed as an endangered species in 1976, and the US Fish and Wildlife Service sent a trapper into Mexico to capture the last remaining lobos on the planet. He managed to capture 5 wolves in various regions of Northern Mexico, and found 2 more in a zoo; the entire species reduced to within 7 animals of extinction. The collaborative efforts between Mexico and the United States saved this species from extinction, and a captive breeding program began. In 1998, the first 11 Mexican wolves were released in the Blue Range Wolf Recovery Area in Eastern Arizona, marking the first time wolves were on the landscape in over 30 years. 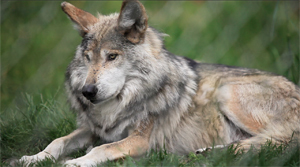 16 years later, the lobo is still one of the most critically endangered mammals in North America. But there is momentum in the recovery program. The wolves are beginning to increase in numbers, producing offspring, and requiring less and less hands on management to facilitate a recovery. 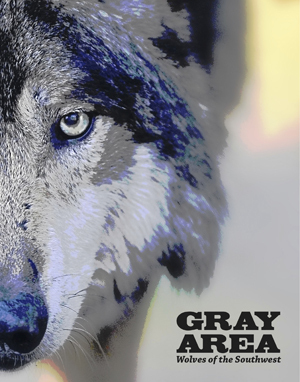 Gray Area: Wolves of the Southwest intends to create interest in the Mexican wolf, to help generate awareness for this species and the landscape it inhabits. Wolves are a top predator in the environment, with science suggesting they can make a tremendous positive impact on various ecosystems by changing the behavior of their prey. 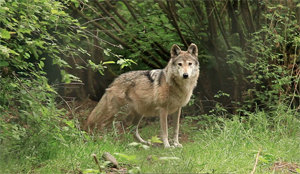 This film will focus on the science of wolf behavior and biology, and hope to reach those currently undecided or on the fence regarding wolf recovery. Another intended audience for the film are schools and wildlife facilities where educational viewings will help teach many more about living with wolves and wilderness. By increasing interest and awareness in this species, the producers of the film hope to change the minds of people who are unwilling to work together in creating a future for the wolf. Earlier this year, they began filming in the Mexican Wolf Recovery Area in both Eastern Arizona and Western New Mexico. The area isn’t what most people would think of Arizona or New Mexico looking like. In some areas there are large open meadows surrounded by towering pines and fir trees with dense groves of aspen, and in others areas deep canyons with rivers running through them. It truly embraces the wide-open spaces of the west, and it also comes with the same sentiments that won the west many years ago. The filmmakers wanted to dive deep into the issues currently surrounding wolf recovery in the Southwest. They interviewed a wide spectrum of people covering both sides of the wolf conflict in an attempt to find out what Mexican wolf recovery is all about. The answer to a true recovery of the lobo is somewhere in middle of this conflict, but they discovered an immediate gray area to this story. One of the key concepts discovered was that the wolf has become a victim, caught in the middle of two competing visions for the future of the west. Therefore, the focus of the story will be on the lobo, and what recovery means for those on both sides of this issue. The film’s producers are hoping to capture footage of Mexican wolves in the wild on their next trip into the recovery area. On their last trip, they saw two wolves testing several elk, running alongside them across a meadow and the road ahead, but were unable to get any footage. They also heard several howling on both sides of their vehicle one morning but never saw them. Their next trip will be for the sole purpose of filming wolves in the wild. They have reached a point where they cannot go any further without help. Support from the community is the backbone to this film project, and also empowers people to get involved with Mexican wolf recovery in small way. Filming wolves in the wild will take a significant amount of time in the field, as well as the equipment and resources required to capture the footage they are hoping for. The hope is to capture footage of these wolves in the wild so that many people will see the true behavior them and learn to understand the wolf.